Comfort mats are needed by almost all businesses where employees are required to spend long work days standing on hard flooring. People who work in these types of jobs often suffer from leg and back pain, fatigue and even musculoskeletal disorder (MSD). These types of chronic health issues lead to more sick days, decreased production and unhappy staff. Comfort mats are inexpensive ways to reduce employee discomfort and the onset of serious medical problems while keeping them, healthy, energized and focused on their jobs. According to a productivity study in the Journal of the American Medical Association (JAMA), November 12, 2003 – Volume 290, No. 18: “Lost productive time from common pain conditions among active workers costs an estimated $61.2 billion per year [in the U.S.]…while at work. Imagine what that number is today? Comfort mats have other beneficial uses as well. Mats can be placed in entryways or other areas that may need increased traction to avoid falls. Be strategically set to keep sound levels down or even used as runners in high traffic areas. They are definitely multipurpose! The concept is actually quite simple. Comfort mats, commonly called anti-fatigue mats, are thick and flexible to encourage those who stand on them to be constantly moving. 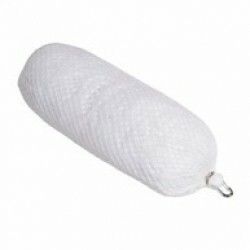 This promotes circulation and reduces the contraction of the muscles that cause pain. Comfort mats also provide insulation from cold floors. Accidents can be reduced by providing non-slip areas. Mats are also easy to clean. 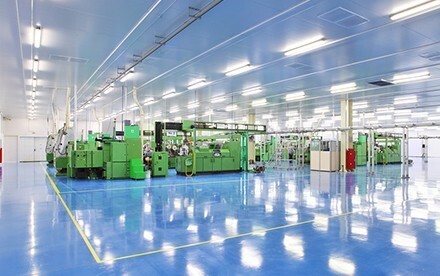 They come in many shapes and sizes and are suitable for use in a wide range of industries. Think of them as shock absorbers for people! What Types of Businesses Use Comfort Mats? 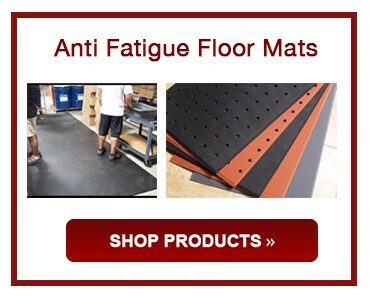 Actually, all types of businesses can benefit from using anti-fatigue floor mats. 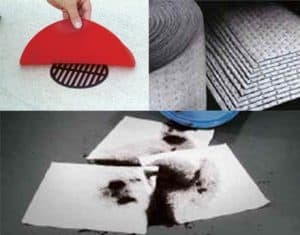 Factories, restaurants, salons, office buildings, retail outlets etc… can benefit from the use of anti-fatigue floor mats. These mat come in a variety of shapes and sizes so it’s easy to find the right one for your location. You likely know yourself how uncomfortable it can get when standing in one place for too long. Now multiply that times a full work day, then a full work week, a full work month and so on. 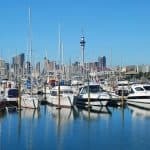 People who work in this type of environment can eventually suffer from a whole slew of health issues which range from minor back and leg pain, spinal issues, varicose veins, and the above mentioned MSD. Anti-fatigue floor mats are designed to keep the person standing on them moving. Their feet are basically forced to adapt to the cushioned, soft surface which encourages the same type of muscle contraction and blood flow you would gain from taking a walk. This gets the heart pumping which reduces fatigue, as well as forces better posture preventing back, leg and hip problems. It’s almost like they are exercising at work! 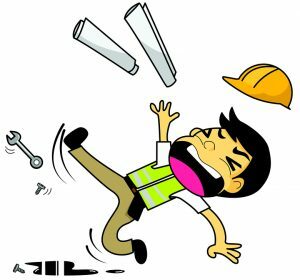 OSHA estimates that 15% of deaths in the workplace are a result of accidental falls. Anti-fatigue floor mats provide traction, thus preventing slips. Used as entryway mats (or at other locations throughout your business) you protect not only your employees but customers too! We have known for years that the endorphins humans get from exercise boosts energy and decreases stress. Because anti-fatigue floor mats promote movement, workers experience a higher energy level and an overall better attitude in the workplace. A happy employee is a productive employee! You probably never thought that you could actually decrease the amount of damage to materials and inventory with anti-fatigue floor mats. Surprise, you can! The comfort mats act as a cushion and impact absorbent. Fragile objects dropped may not always break when they hit the comfort floor mat. If the object does break, the mat makes it easier to clean up. 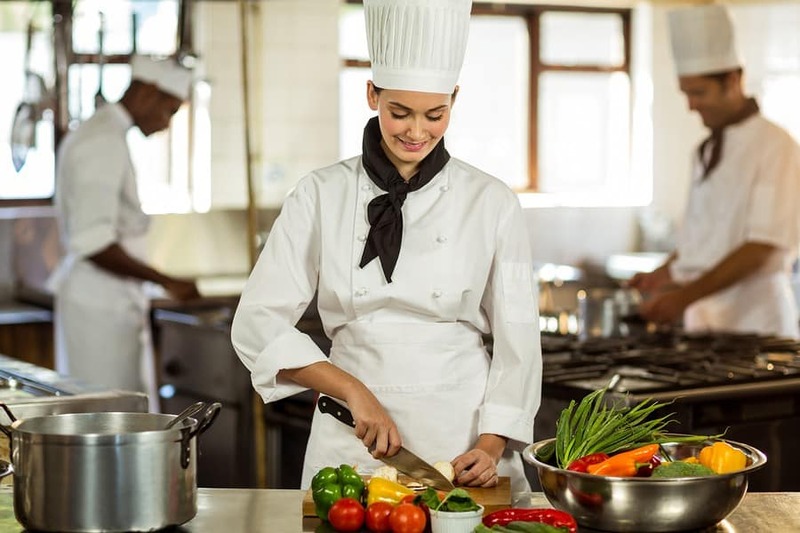 Studies placing anti-fatigue work mats in the workplace is beneficial not only to the overall health of your employees but also to the business bottom line. Fewer sick days, lower workman’s comp claims, more productive employees and even less damage to inventory leads to better output and higher profits. What’s not to love about that? How Do I Decide What Type of Comfort Mats I need? Comfort mats are available in a variety of sizes, materials, shapes, and colors to help you with the selection process. 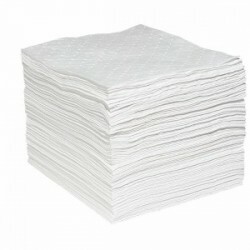 AbsorbentsOnline.com has a great selection. The first thing you need to determine is where you plan to place anti-fatigue floor mats. What purpose will they serve? Do you need anti-fatigue floor mats that drain? Do you need to have mats with safety stripping? What size is the area you want to place them in? If you are not quite sure or have additional questions, our experts are ready and willing to help you choose. All anti-fatigue floor mats are custom made to fit your exact needs! Now that you know the how’s and why’s of comfort mats there really is no reason why you shouldn’t evaluate the need for these products in your place of business. In the end, comfort mats are an incredibly worthwhile investment. Your employees will have fewer chronic health issues, they will have more energy – resulting in higher productivity. They will be less stressed out and the overall work environment will be a much better place to conduct business. This is a win-win for you, your staff and your customers! 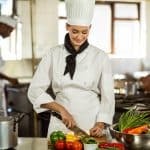 AbsorbentsOnline.com carries a wide range of comfort mats, listed as anti-fatigue floor mats, suitable for any type of business. We are always available to discuss your options, provide expert advice and guide you in the right direction. Feel free to call us at 800-869-9633 or contact Travis at travis@absorbentsonline.com or Angie at angie@absorbentsonline.com. We look forward to serving your needs! Spill control can easily be accomplished by having the correct kits on hand. You must be able to jump into action when an accident happens. 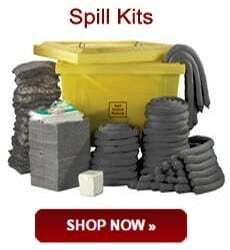 Spill kits are available in various sizes and types. No matter what your spill consists of, you must be able to contain it quickly and effectively. Your mobile spill kits should contain at a minimum heavy duty absorbent pads, absorbent socks, absorbent pillows, disposal bags and PPE such as goggles and gloves. Helps you comply with OSHA regulations. 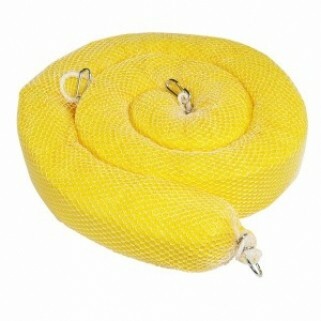 To begin with, you need to determine what type of spill kits you need. Think about what it is that could potentially spill. You also have to consider how large the spill could be. Regardless of the size of your spill kits, they must be designed to deal with the particular substance you need to contain. You will not get the performance you want if you do not select the correct kit. Here are the three major categories of spill kits. 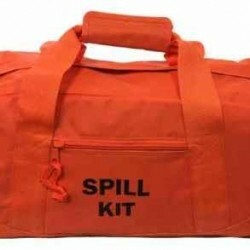 The following will help you determine what type of spill kits you should have in the event of an emergency. 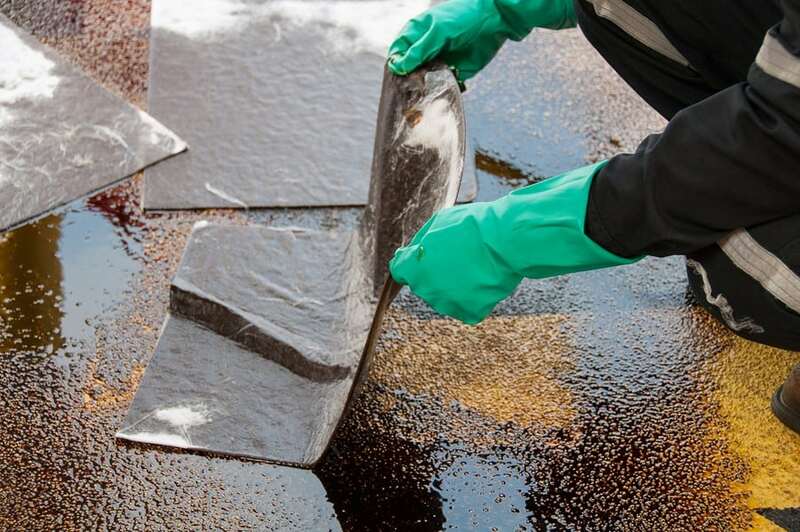 Oil spill kits are designed specifically to absorb hydrocarbon based spills – safely and effectively. They can be used both indoors and outdoors. 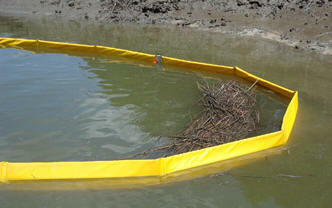 Oil only absorbents repel water, are perfect for clean-ups on waterways and contained bodies of water. Water or water-based chemicals WILL NOT be absorbent by oil only absorbents. These serve as general purpose spill kits and are capable of handling liquids such as coolants, paint, solvents, fluids and any other non-hazardous types of chemicals. 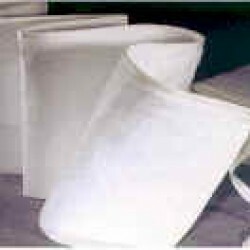 Universal absorbent spill kits are ideal for workshops and in areas where smaller spills may occur. 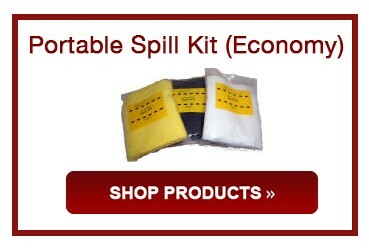 Universal spill kits will clean up the whole spill at one time as long as you don’t need to separate oil from water. 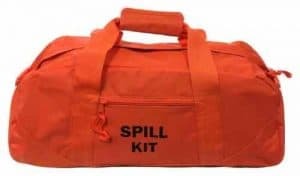 For you to cope with hazardous materials -oil based or not- these spill kits are specifically designed to cope with a chemical spill of a caustic and aggressive nature. 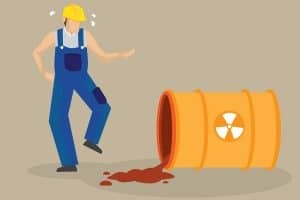 Most hazmat kits do not come with special protective accessories you may need to keep workers safe during the clean-up process because of the wide variety of chemicals used in industry. 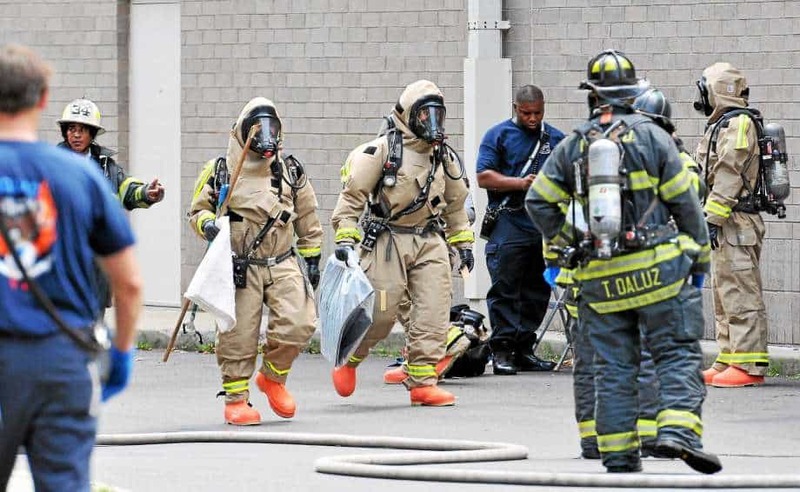 Before any emergency response is required you will want to customize each kit with protective clothing, respirators or other accessories to protect your workers from the chemicals at your facility. In addition to the three major spill kits mentioned above, there are also specialty cleanup kits. Some specialty kits are mercury spill kits, battery acid spill kits and biohazard spill kits for body fluids. How big is your typical spill? 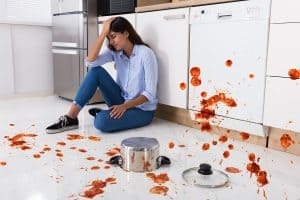 Small spills may only need a simple bucket kit whereas if a spill can be larger, 95 gallon spill kits or even large cart kits is what you will need to have on hand. Where do you store spill kits? If spills are a frequent occurrence at your facility, you likely have the space required to store the kits you need to clean them up. You should set up well marked spill stations. If none are set up you should probably evaluate your storage policies and make room. Regardless of the size of kits (even for smaller wall mount ones) you keep on hand, you should have them near where they would be needed. Safety and the ability to take action quickly is critical. 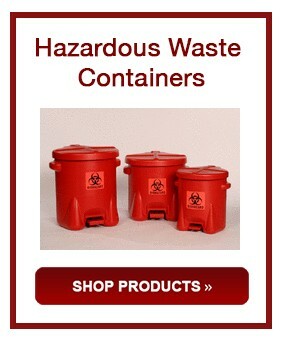 Also think about having larger spill kits stored near by if a major spill happens. What type of containers do you need? It really depends upon your needs. for vehicles you generally need truck spill kits or bucket kits. For on your dock or in your facility you may have a preference to certain types of drum spill kits, bucket spill kits, or even a combination thereof. Most important is that they work with the actual type of spill that can occur. For added protection, if a spill could reach storm or sewer drains are near by, have drain covers on hand. 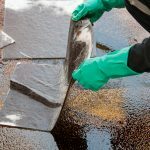 Cleaning up spills in drainage systems is much more costly then on land. 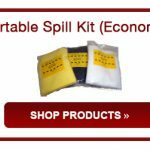 In the end, the most important thing about spill kits is that you have them where you need them when you need them. 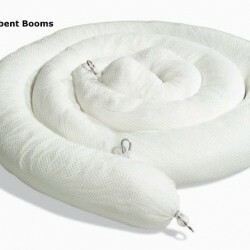 Choosing AbsorbentsOnline.com is your first step in assuring a safe environment in the workplace. We are always happy to answer questions and offer free advice. Let us help you select your spill kits to insure you are meeting all legal requirements and safety standards. 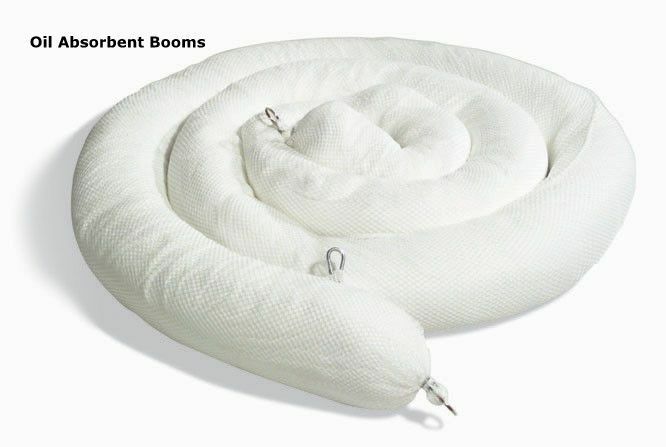 What Kinds of Absorbents Do Firefighters Need? To the average person, it may seem like firefighters are more in the business of dispensing fluids than cleaning them up — but any firefighter knows he or she does a lot more than hold a fire hose, and that includes cleaning up spills. To do so effectively, it’s important to have the right absorbents and spill containment products both in the firehouse and in trucks. What kinds of spills do firefighters face? 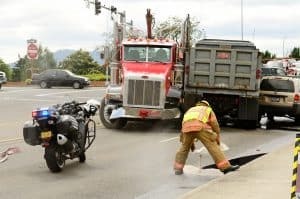 To see what sorts of spill containment challenges firefighters are dealing with every day, all you have to do is look to the news. For example, firefighters responding to a three-car collision in Harvard, Massachusetts used absorbents to clean up two small fluid leaks from vehicles involved in the crash. 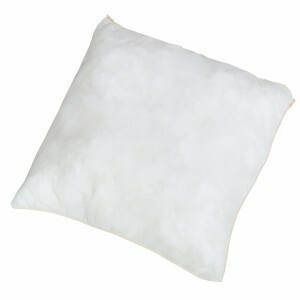 An oil absorbent pillow or oil absorbent pad would’ve been a likely candidate for this kind of job to both repel water and absorb oil-based fluids — and one pillow or pad can safely absorb more than 20 gallons. In Halifax, Virginia, a tractor trailer pulled down some utility lines, resulting in a transformer leaking hydraulic fluid into the street. Firefighters used absorbents to create a dam to contain the leaking oil and prevent it from spreading while they orchestrated a spill cleanup. This can be done with a portable spill containment berm. Alternatively, absorbent socks can work in these applications if firefighters wanted to absorb the liquids, rather than just contain them. 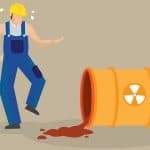 A tanker accident in Hickory, North Carolina proves that spills can be unpredictable: The vehicle, which was carrying chicken byproduct, overturned and released the waste into the area. 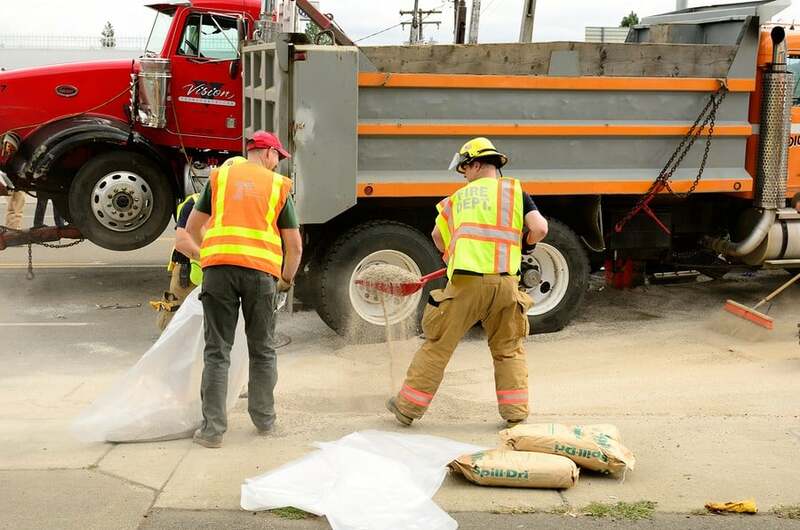 Firefighters shut the leaking valve, then built a dam from sand to prevent the waste from entering nearby storm drains. While sand did the trick in this instance, granular sorbents would’ve been an environmentally safe alternative capable of absorbing — not just blocking — the liquid. When firefighters are called to the scene, they need to do their jobs quickly and efficiently or they could risk lives and environmental contamination. And that doesn’t just apply in cases of fire but also in cases of spills. That’s why it’s imperative firefighters be prepared for any spill containment scenario with the right absorbents and equipment. 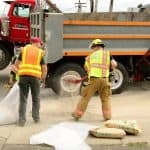 Whether it’s as simple as a drip pan for the fire truck or as convenient as a small, portable spill cleanup kit to tuck into the cab for minor emergencies, absorbentsonline.com has all the absorbent materials that a firehouse needs to tackle any spill. 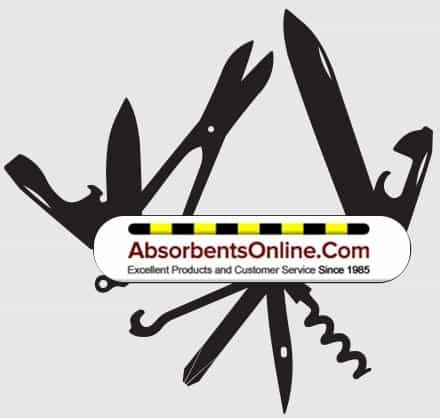 Need help choosing the right absorbents? Our experts can help. Contact Travis Zdrazil at travis@absorbentsonline.com or (800) 869-9633.